The activist who was convicted of disrupting Congress after laughing during a confirmation hearing for now-Attorney General Jeff Sessions had her conviction thrown out by a District of Columbia Superior Court judge on Friday. Code Pink activist Desiree Fairooz, 61, was found guilty of misdemeanor charges, including disrupting Congress and parading/demonstrating in May and was told she faced up to six months in jail. But on Friday, the judge said he took issue with the conviction and scheduled a new trial for September, Fairooz told NBC News. "Well, I can’t say relieved. I’m not happy about [the re-trial] but I guess, in a way, it’s a small kind of a win. It just seems like an absurd waste of tax dollars," Fairooz said. "I am disappointed, but I guess I should be happy I’m not sitting in jail." Officials at the court confirmed to NBC News that Judge Robert E. Morin of the Superior Court of the District of Columbia ordered a new trial be held for Fairooz. The U.S. Attorney’s Office for the District of Columbia declined to comment on Fairooz's case. Fairooz, who was in the Kennedy Caucus Room to protest Sessions’ appointment on January 10, had been convicted for chuckling during the opening statement, according to court documents. Alabama Sen. Richard Shelby was in the process of saying that Sessions’ record of "treating all Americans equally under the law is clear and well-documented," and it was following this remark that Fairooz is alleged to have let out a laugh. “In response to this statement, Defendant Fairooz … let out aloud [sic] burst of laughter, followed by a second louder burst of laughter,” court documents read. Members of the activist group Code Pink disagreed. “I would describe it as a reflex. It was such an appalling statement for Senator Shelby to make … this is such an absurdity that Mr. Sessions has a record of treating Americans equally, that she just reflexively let out a noise,” Ariel Gold, campaign director for Code Pink who was sitting near Fairooz during the hearing, told NBC News in May. Two additional Code Pink members were also removed and arrested during the hearing. 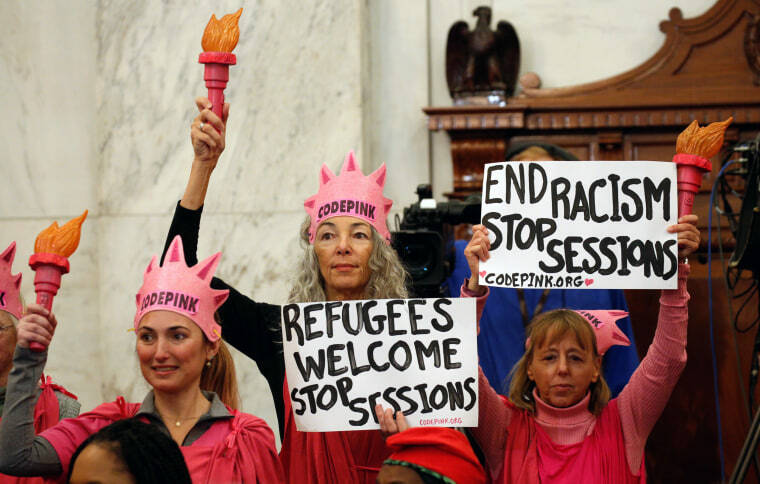 Tighe Barry and Lenny Bianchi, who were dressed as members of the Ku Klux Klan as commentary on what Code Pink describes as Sessions' racist past, were also arrested for causing a disruption. Morin suspended a 10-day jail sentence for Barry and Bianchi as long as they complete six months of supervised probation, U.S. Attorney spokesman William Miller confirmed in an email to NBC News. Fairooz said she has been arrested as many as 10 times for protesting and has served a three-day jail sentence in relation to a prior arrest. She thinks the idea of spending six months behind bars is a ridiculous way to spend tax dollars and said the fact she has to now go through a new trial is also an irresponsible use of taxpayer's money. 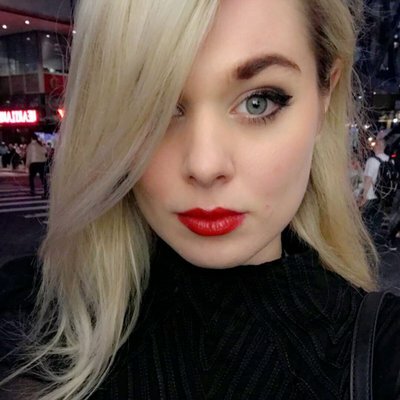 However, she’ll continuing her activism, she said. “This is supposed to be a democracy for the people, and if we’re not involved, we’re not going to have a democracy," she said.